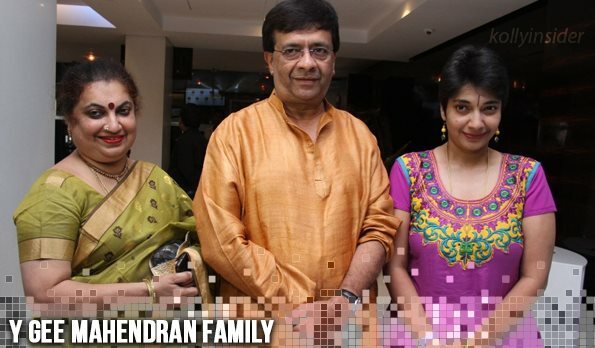 Y.Gee Madhuvanthi daughter of Y.Gee Mahendran is basically a classical dancer. She is the granddaughter of Y.G.Parthasarathy who first started a drama company United Amateur Artists (UAA) in Madras in 1952. Madhuvanthi, who believes that artists can be produced only through dramas, refuses any cinema offers and runs a drama company in the name Maham. She is also the founder of an educational trust ‘Calibre’ says that “We need to integrate art, culture and education in such a way that children are simply happy coming to school”. She enlightens the audience through dance and stage plays. Her stage play Sivambo was a hit, which had been played in more than 60 stages. She is now planning to play the drama titled ‘Perumale’ in Vani Mahal, Chennai on March 12.